Painting Services Singapore | HDB, Condo, Landed and Office: How Many Coats Of Paint Is Needed To Paint Exterior Of A House? If you are wondering how many coats of paints are needed to paint the exterior of a house, you need to consider hiring a professional painting service to paint your home. Singapore offers many registered companies that can complete painting projects of any type, regardless of size or amount of work involved. You should firstly consider your criteria before you choose a service. A freelance painter is the best option for you if you are looking for low costs. Choose someone who is recommended by family or friends if you want your paint job to be of a high quality. Your painter can best advise you about a particular theme you may like to follow. A reputable painting service will ensure that all items that may get paint splashed on them are either moved to a safe place that is out of the way of workers, or properly covered before the painting project begins. Buying the correct paint and the correct amount to cover the number of coats necessary for your exterior paint project will need to be verified. Your painting company will know exactly what is required once they have examined the exterior walls of the building. A specific amount of paint will be required if you want your exterior paint job to last longer. 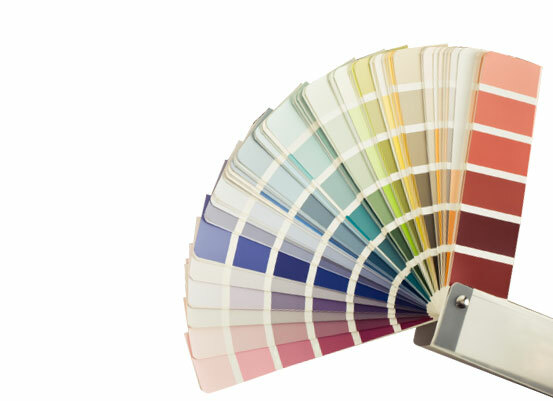 Your paint company will be able to allow you to choose the color of the paint you want for the exterior of your home. The exterior walls of any building need to be able to withstand many types of weather conditions. Harsh sunlight, rain, moisture, wind and grit can do tremendous damage over time, causing the paint to discolor and peel off. It is essential that the paint chosen is the best one for your project or you may have to redo your project again in a short while. The right paint choice will preserve your exterior walls. Proper surface preparation will also have to take place before the project can begin. Before selecting a Painting service in Singapore you need to make sure that they have sufficient experience with the type of painting you require. A painting contractor with experience understands what is required to complete the type of painting service you want. He may have worked on many projects that are similar to yours and will therefore have no problem getting the job done. His past projects will give him the experience he needs to ensure your paint project is completed properly and in good time. Your painting service will be well aware of any areas where they may experience difficulty when painting and will be able to take precautions before they begin. The painting company will carefully examine the exterior of the building before they begin. This will enable them to see what condition the exterior is in. They will decide how much work must be done to strip and clean the walls before they start with the new paint job. This will depend on various factors, such as damage that has been done by different weather conditions. There may also be moisture trapped in some areas which could be detrimental to the painting project. The finished project must add value to your home and ensure that the exterior appearance is like new. It is important to beware of scam painters who are not licensed to work in your local area. When you are presented with a license you should always consult with the licensing body in Singapore to make sure it is authentic. An established and experienced painting service will also be able to provide all the necessary tools and equipment that are needed to get the job done. These will be in good condition and able to facilitate workers so that they are able to work safely and effectively without the chance of accidents or injury. Sometimes painters have to work at a higher level because of the size and height of the building walls. Once the first coat of paint has been applied and dried, it will be easier to ascertain how many coats of paint will be required for the exterior. This will largely depend on the area that needs to be covered and the quality of the paint that is used. It is for this reason that you need to agree on the price of your painting service before it is started. Ensuring that the painting company stays within your budget is important or you may find yourself having to find extra finances that you don't have. Considering all the overall costs of the paint project should be done at the time of hiring your contractor. It may also be a good idea to compare several quotes from different painting services before you make your final decision. When you make contact with the painting service you prefer they may be willing to give you a free estimation after you have discussed your painting project with them. 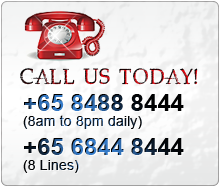 Most Singapore painting companies have a good reputation because they uphold professional standards that are of a high quality standard. If your paint contractor does not disclose necessary information before signing the agreement or tampers with your property unnecessarily, you need to lodge a complaint with your local professional body who will take steps to carry out disciplinary action. It is of vital importance to carefully examine the details of your contract of agreement before signing. This contract should include all the details including materials, cost estimation, total costs, schedule of payments, work specifications and all relevant information. If there is a warranty program available it should also be included. By checking your contract you will avoid disappointment and unforeseen costs. If you stick to the necessary steps you are sure to end up with a top quality finished project from the best painting service. Your home will also get all the coats of paint it needs. By using the correct materials and contractor you will ensure that your paint job is lengthened, giving you great value for your money for many years to come. There is nothing that can give your home a new and fresh appearance like the right paint job.